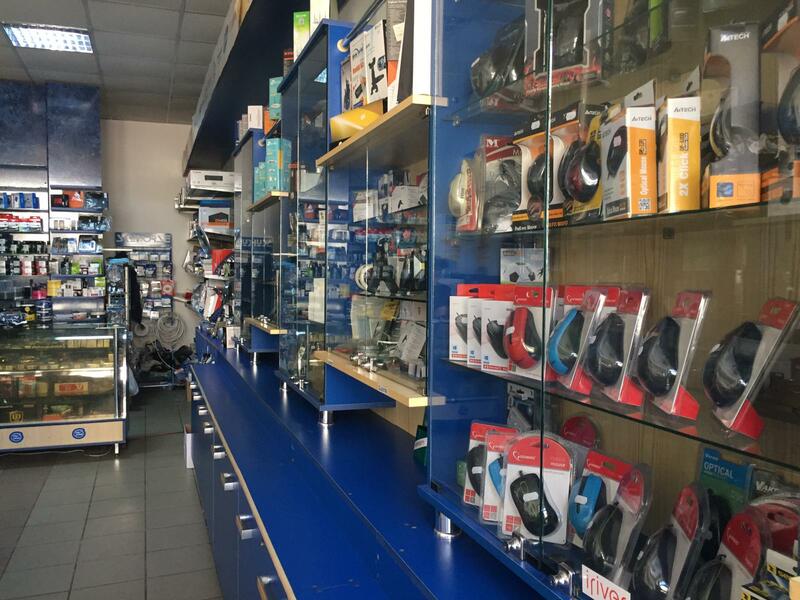 We have a wide variety of IT products as well as office and stationery supplies, cash registers, video / alarm systems. Scand SA is a joint stock company set up in 1993. Through constant promptness, we have been able to provide our customers with the support they need to carry out their activities in good working order. 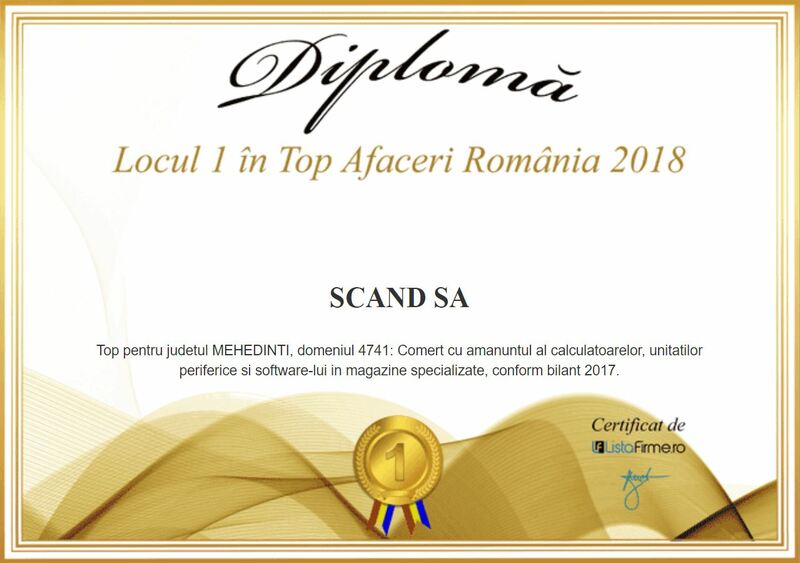 In 2001, according to the statistics produced by the Mehedinti County Chamber of Commerce and Industry, Scand SA has achieved a valuable placement at the top of the hierarchy of the profile companies in the county, which is a confirmation of the confidence our company enjoys among its clients. 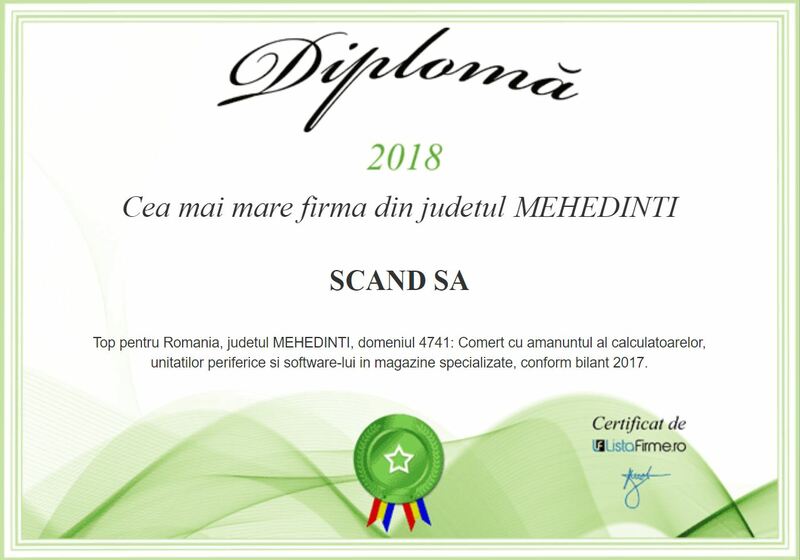 Scand SA has experienced personnel for the execution of installation and service works for IT equipment, computer networks, copiers, printers, fiscal cash registers, etc. The services and products of our company are addressed both to legal persons (companies) and to individuals; our company owns computer network maintenance contracts for most local clients.